If you want to seek items from your stash, there are several routes you can go. I don't endorse any of these. Buyer/seller beware! Read the descriptions of how each place works carefully. If you know of places I omitted, email me at chillyhollow@hotmail.com so I can add them. Thanks! First of all, eBay is the traditional place to unload stash. If you want to avoid the hassles of setting up an eBay account and handling the sales yourself, there are several shops that do stash sales for customers, for a percentage of the ending sale. Both Beth's Needlepoint in Kentucky and Fireside Stitchery in Pennsylvania offer this service. There are also eBay sellers who will sell stash for you but I haven’t listed any of those here. If you are a frequent browser of eBay you’ll soon notice them. Check the ratings of the sellers carefully before you use them. 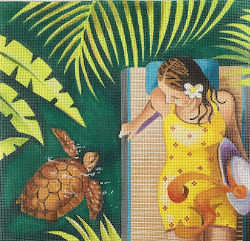 Needlepoint in Paradise in Naples, Florida has a consignment sale area. You can shop long distance via their website. Email them for help listing items for sale at their site. CanvasesBeGone is set up to sell stash and also occasionally sells on eBay. Like everything else, there are groups for buying and selling needlepoint stash on Facebook. Many require that you use Paypal. To join a stash sales group, use search to find it on Facebook, then click on “Join” on the page. An exception to that is Needlepoint Nation Stash Exchange which is the oldest stash sales group for needlepoint. To join you must use Facebook’s Message system to alert the group administrator you wish to join NNSE. You need to have been part of a needlepoint group of some sort for at least three months to join. They try and vet members to make sure members are serious about needlepointing and to keep scammers out. There’s an extensive description of how the group works at the top of their page. Note there are limits to how many pieces you can post at once and they have to be removed if they don’t sell after a set time. Paypal preferred. 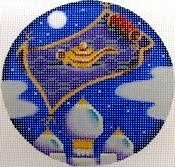 Stitchin’ Stuff for Sale welcomes any form of needlework except finished pieces. Allows cross-posting of stash other places. Posts go right up, as they don’t have to be approved by an admin. Needlepoint sells here, but there’s lots of cross stitch and embroidery as well. 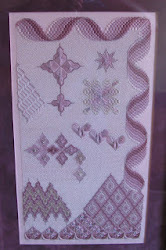 Needlepoint Swap Meet is newer and is all needlepoint or needlepoint-related items. It allows cross-posting. There are no limits on posting, but everything is approved by an admin, which may take several hours. PayPal preferred. Good Buy Needlework is run by two needlepoint shop owners. Note that they do not allow cross-posting and posted items don’t have to be approved by an admin. Paypal preferred. Etsy has several shops that sell needlepoint stash. These come and go so I haven’t listed any here. Some people say it is a great place to sell stash. Once again, check the shop rating before you buy and how much commission you have to pay for a sale before you set up a shop for stash sales. Also check with your local shop. A Stitch in Time in California has a "trash-to-treasure" event where people donate stash, get some credit, and proceeds from selling the actual "trash" go to charity. Meredith Willett also does this at M's Canvashouse in Kentucky. Other shops have yearly yard sales (Homestead Needle Arts). These are just the sales I’ve heard about and I am sure there are more. Your local chapter of EGA or ANG may also have a stash sale or exchange, or might be willing to try hosting one. Thanks Jane for posting all these options! You are welcome, but you know I had a LOT of help! You are welcome! Hopefully this will help folks find good homes for their treasures. FYI: In Stitches in Atlanta has closed. Thanks for the reminder. This article is a year old, and I rarely remember to go back and hunt for things that need to be updated or removed.